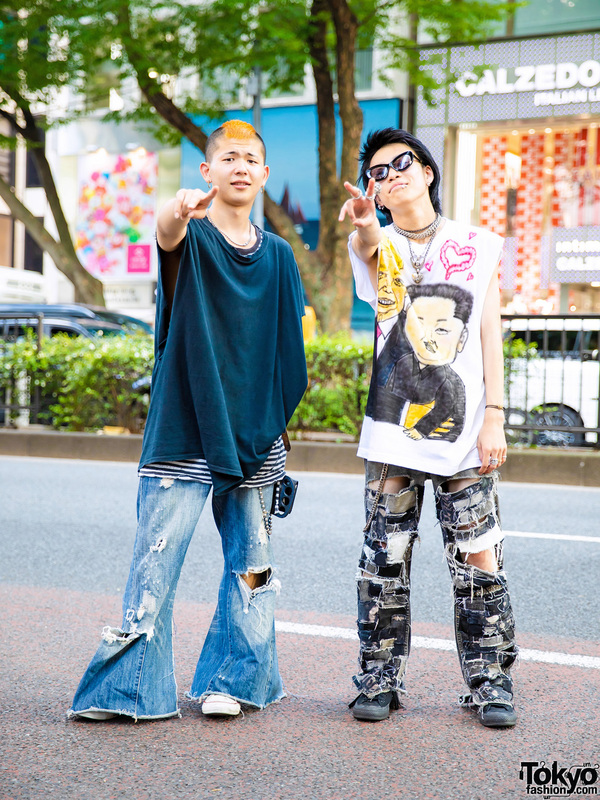 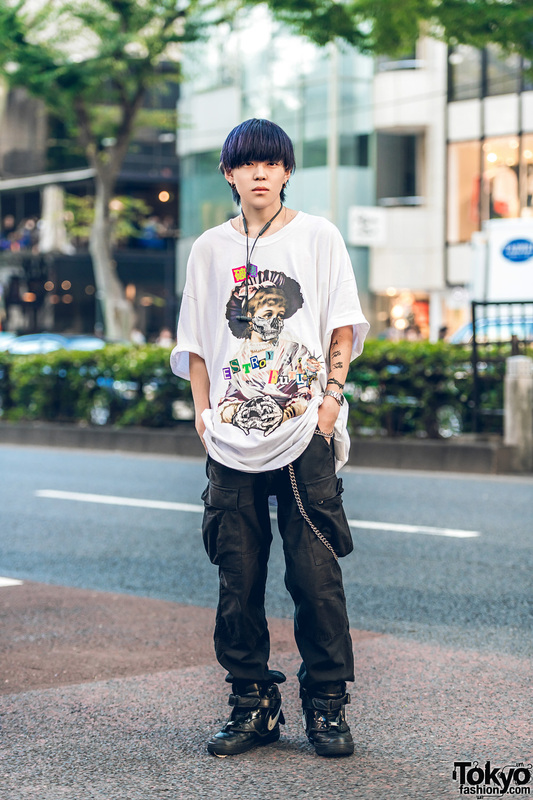 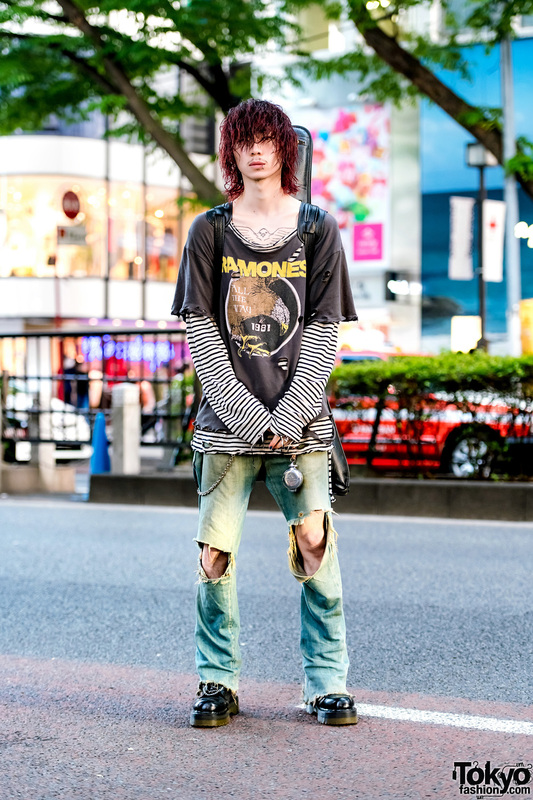 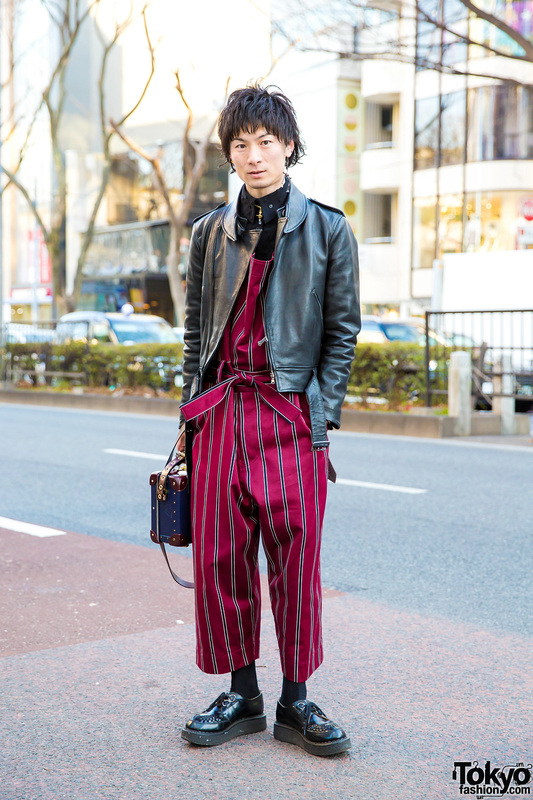 Harajuku student sporting a distressed grunge style while out and about one fine day. 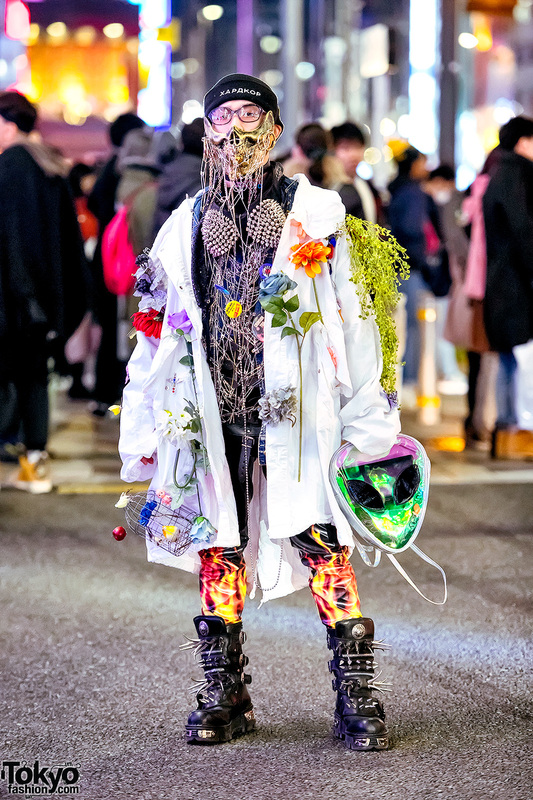 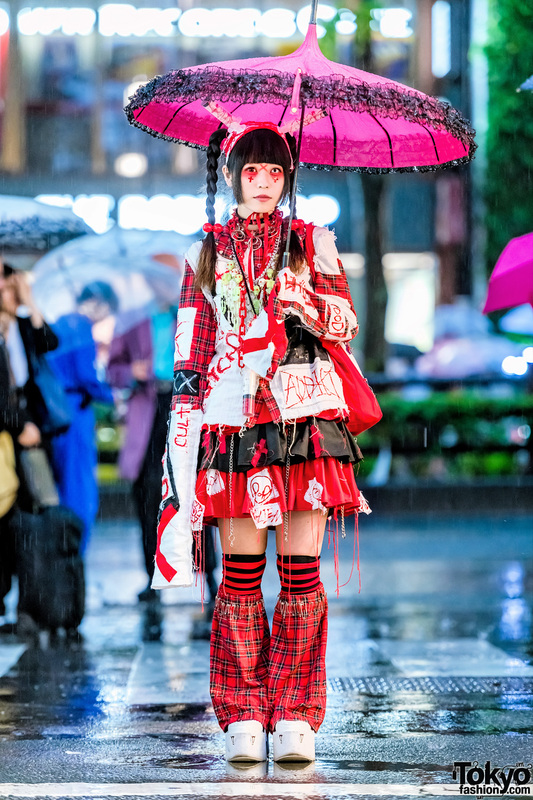 Harajuku guy in handmade and remake fashion with a metal face mask, flower-covered coat, flame pants, spike platform boots, and punk accessories. 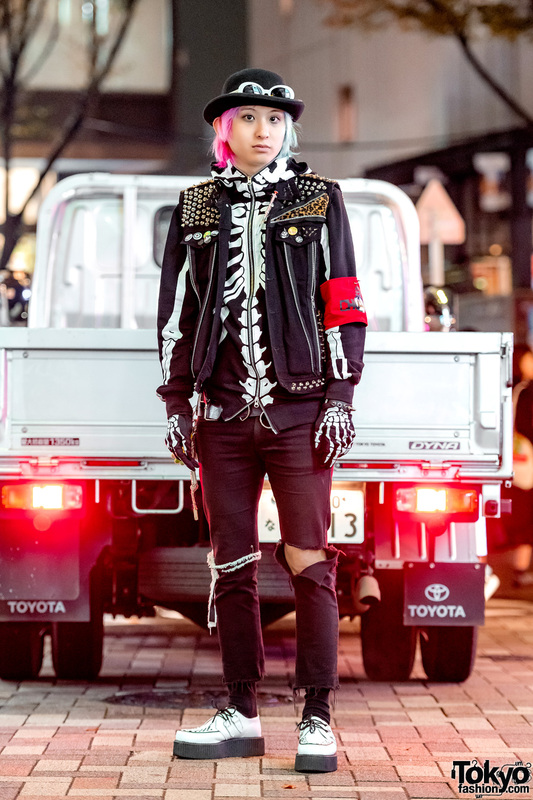 Japanese student with pink hair and punk-inspired outfit while out in Harajuku.